I received National Lampoon’s Christmas Vacation at my work Christmas party in a white elephant gift exchange (which I had no idea what it was) so I figured it was time for me to finally watch it. I have never been a fan of the Vacation movies. Chevy Chase is fine, but honestly, I don’t like this kind of comedy. The lead character who is oblivious to the idiocy that he causes or that is around him…that never appealed to me. Plus, how is Clark Griswold not in intensive care after everything that happened to him. 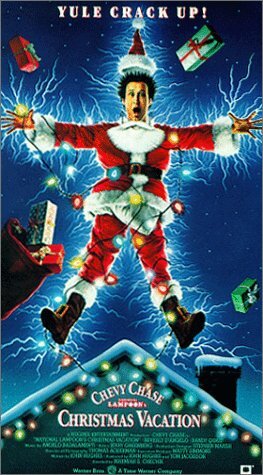 Christmas Vacation is a cartoon comedy where everything that can go wrong with a family Christmas is only the starting point. I did not find a lot of this funny. Slapstick shtick has its moments, but this felt too pushed. To be fair though, I have to say that there were some times when the movie showed some real heart. I especially enjoyed Chevy Chase sitting down with his Cousin Eddie’s (Randy Quaid) daughter for a talk about Santa Claus. That was a sweet moment and the film could have used more of that. I know people love this movie and it is at the top of most people’s Christmas movie lists, but it is so over the top for me that I am just not a fan.